The use of glyphosate in public spaces has long been part of a wider debate around the herbicide. Its safety across both the public sector and in agriculture is still in question. Over recent years, there has been a strong movement in legislation around the use of herbicides such as glyphosate. This has been led by public concern about the safety of glyphosate’s use in public spaces. A rise in interest towards the herbicide-free movement has led to change within organisations and public entities, such as councils and contractors. Decision makers across the world have voluntarily decided to ban the use of chemicals within their districts in a bid to move to a more sustainable and environmentally friendly way of living. Contractors and service companies are observing this change, and in order to stay competitive, are on-boarding herbicide-free solutions as part of their product offerings to ensure they still win tenders. Foamstream is ideal for any contractor, council or organisation looking to reduce the use of herbicides from their practices and replace it with the most cost-effective and efficient alternative. It is well suited to any organisation that needs to carry out a wide range of jobs when managing outside spaces. Safe to use in public areas, on utility sites, or in any space which requires an eco-friendly method of treatment, it poses no threat to people, animals or the environment. 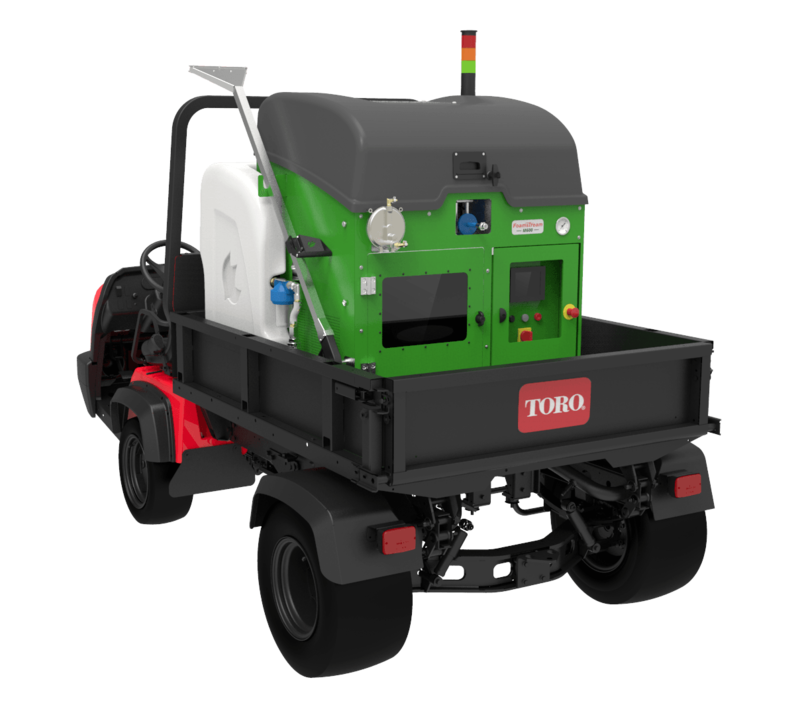 Foamstream was developed not only to alleviate concerns regarding the use of glyphosate around people and the environment, but also to address its functional limitations as a weed control product. 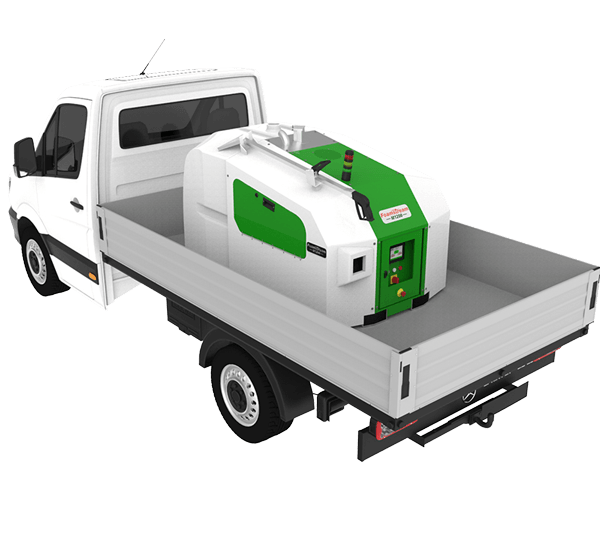 How Foamstream removes the functional limitations surrounding Glyphosate? Foamstream can be used to treat in all weathers, on any surface, all year round (reducing costs attributed to downtime and allowing better planning of labour resources). Foamstream doesn’t need to have ongoing operator certification or training. Foamstream doesn’t require the operator to wear protective clothing. Foamstream delivers instantly visible results. Why choosing Foamstream as a herbicide-free approach can benefit your business? Foamstream provides the most effective way of killing vegetation. Fewer treatment cycles are needed per year compared to any other alternative thermal method of weed control. This means less labour is required over the course of the year, reducing overhead costs. In addition to killing the plant, Foamstream also sterilises surrounding seeds and spores that haven’t yet germinated, reducing regrowth. By combining the most effective method, the fewest treatment cycles per year, and the ability to sterilise seeds and spores, Foamstream has the lowest cost of ownership and operating costs in the alternative herbicide-free space. Because it can be used for more than just weed control, the commercial case for using Foamstream speaks for itself. Looking to move your organisation away from its reliance on glyphosate? If you'd like to find out how Foamstream can help your organisation be less reliant on glyphosate, get in touch today.